Any idea how to align the form to the left? Please try injecting the following CSS code to shift your form a bit to the left. Still no luck. Thanks so much for the help. Any other suggestions? 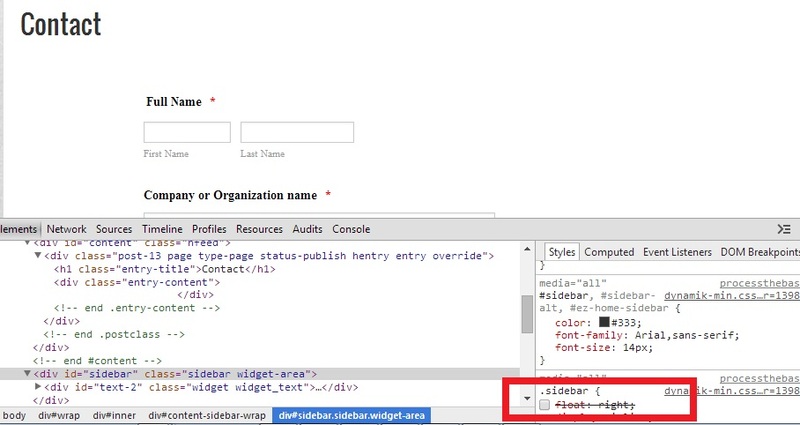 Please note that removing the side bar property affects all the elements using the class "sidebar". You can try to create another class specifically for this page. These values can be found on your website's source code and cannot be set on your jotform source code. I feel like a dunce. Brain fart on my part. Thanks so much for the help, guys! I visited your page and looks like it's fine now. Are good to assume that you were able resolve the problem? You got it. Thanks for the amazing help; thanks so much!!! !